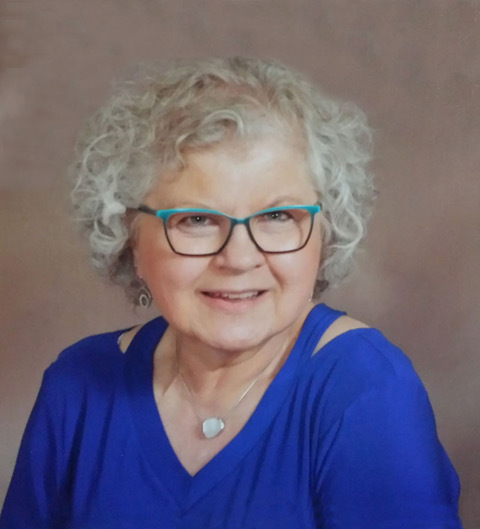 Linda Kotzea, 66, died Sunday, March 31, 2019, at the Dougherty Hospice House in Sioux Falls, S.D. with her family by her side. Linda was born in Webster, S.D. on Jan. 17, 1953, one of four children of Donald and Marcella (Czmowski) Kotzea. She grew up on a farm near Waubay, S.D. and graduated from Waubay High School with the Class of 1971. She continued her education earning a teaching degree from Northern State College in 1975. After graduating from Northern, a 39-year teaching vocation began, although rumored it actually began years earlier at home trying to educate her younger brothers. Linda taught in Wakapala, S.D. ; Corona, S.D. ; Webster; Freeman, S.D. ; and her final 27 years in Marion, S.D. Linda had a passion for teaching. She challenged students to excel while building caring relationships with them. She was equally proud of her involvement with extra-curricular activities. Two of her favorites were robotics mentor and yearbook photographer; she was affectionately known as the “Lady behind the Camera.” Linda retired from teaching in 2014; however, she did not sit idle long as she soon started working part-time as a cook at the Salem Mennonite Home. Linda had a strong Christian faith and was a member of St. Boniface Idylwilde Catholic Church. She was an ardent supporter of the Stand For The Silent (SFTS) program that addresses the issue of school bullying and suicide prevention. Linda proudly wore the SFTS wristband that states “I Am Somebody.” Her many hobbies included crocheting, gardening (especially roses), baking, caring for her kittens, traveling,and spending time with family and her many great friends. Linda is preceded in death by her paternal grandparents, Joseph and Mabel Kotzea; maternal grandparents, Nick and Ida Czmowski; and nephew Ryan Kotzea. She is survived by her parents, Donald and Marcella (Czmowski) Kotzea; brother, Alan (Ruth) Kotzea; brother Dale Kotzea; sister-in-law Deb Nordstrom Kotzea; brother Jon Kotzea; nephews and niece: Michael Kotzea, Nick (Kate) Kotzea and Melissa (Jeremy) Herrboldt; and great-nieces and nephews: Alex and Christopher Kotzea, Ava and Brody Herrboldt and Mackenzie and William Kotzea.